In the world of creating new ventures with the single goal of achieving financial profitability, it is well known that nine of ten startups are likely to fail. For new social ventures that have the twin goals of financial profitability and social inclusiveness, the chances of failures are even higher. This book provides insight into the common struggles of social activists and the strategic responses necessary to overcome not only their organizational issues, but also address the world’s pressing social challenges. The book not only traces the journey of the social activists in growing their social ventures to flesh out real-life issues, but also introduces the latest management thinking on social innovation in daily business decision. 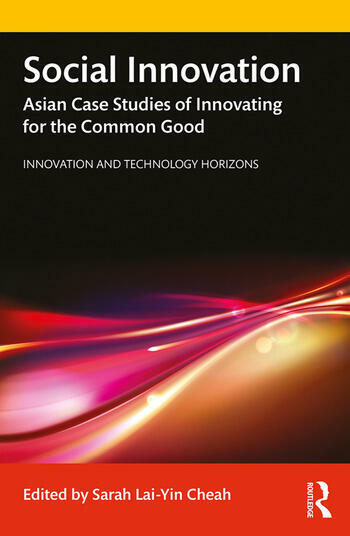 This book makes a useful contribution in furthering the concepts of social innovation and entrepreneurship and inspiring more change agents to create and implement effective, scalable and sustainable solutions to address social issues and meet the needs of the disadvantaged groups in the society. Sarah Lai-Yin Cheah is Associate Professor with the National University of Singapore (NUS) Business School, with research and practice in innovation and entrepreneurship, as well as early-stage technology incubation and commercialization. She is also faculty associate of the Asia Centre for Social Entrepreneurship and Philanthropy (hosted by NUS Business School). Since 2014, she has taught more than 2,000 undergraduates on entrepreneurship and mentored many technology commercialization and startup projects. Her interest in entrepreneurship started in 2000 when she left a secure and well-paying job with a US multi-national corporation to join the high-risk and high-churn startup workforce in Silicon Valley. After a few years of intensive scaling up to extend the startup footprint into Asia Pacific across a wide range of industries, Dr Cheah joined the NUS Entrepreneurship Centre in 2003. As Adjunct Assistant Professor, she helped to build the local startup ecosystem by playing the role of educator in the Technopreneurship Minor Program, mentor and coach to aspiring student entrepreneurs. From her interaction with more than 150 startups, she has captured their insights as teaching cases in various publications.